Scientists at Cornell University have discovered that meltwater from the surface of an ice cap can seep downward and become trapped beneath it, adding heat to the bottom of the cap. It’s the first time that researchers have seen the potential for atmospheric warming to affect glaciers from above and below. The Cornell team, led by Earth and Atmospheric Sciences researcher Michael Willis, said that the warmer water could make the ice sheet slide faster over ground and change how the ice responds to the changing climate. They conducted the study in Greenland and published the results Jan. 21 in the journal Nature. The Greenland ice sheet makes up 80 percent of the island’s land mass, and previous studies have shown that the ice sheet is melting at a faster fate. Willis said his study was sparked in 2012, when he noticed a 70-meter-deep hole in Greenland’s ice cap, a remnant of a rare subglacial lake. “Between 2012 and 2014, Willis watched as summer meltwater on the surface of the ice made its way down cracks around the hole and refilled the empty lake basin at the base of the ice cap. When water was flowing on the surface, the subglacial lake filled. When water stopped flowing on the surface, the subglacial lake stopped refilling. 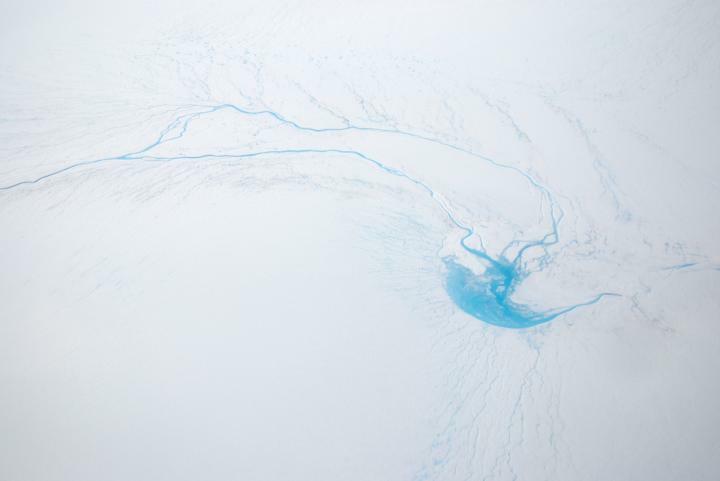 “Each summer scientists see bright blue streams form on the surface of Greenland as warm air melts the ice sheet. What happens to this water when it disappears into cracks in the ice has remained a mystery. 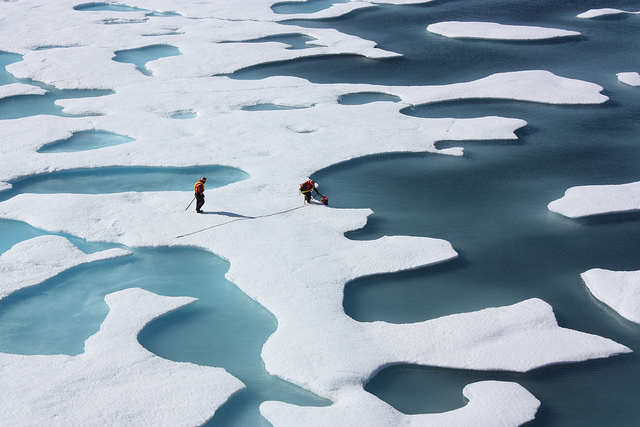 The refilling tells scientists that the ice cap’s resilience has reached a tipping point. 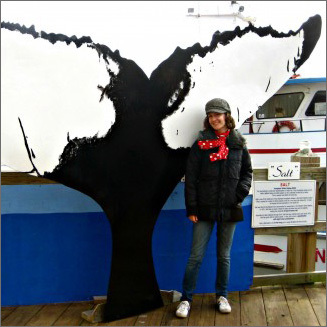 The study was conducted at the Flade Isblink ice cap in northeastern Greenland. I’m told that another place in Greenland where glacial change is obvious is Ittoqqortoormiit, formerly Scoresbysund. 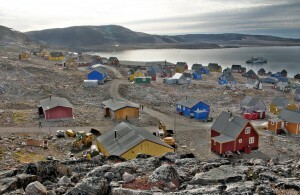 William Scoresby named the area in 1822, when he charted more than 400 miles of the eastern coast of Greenland. 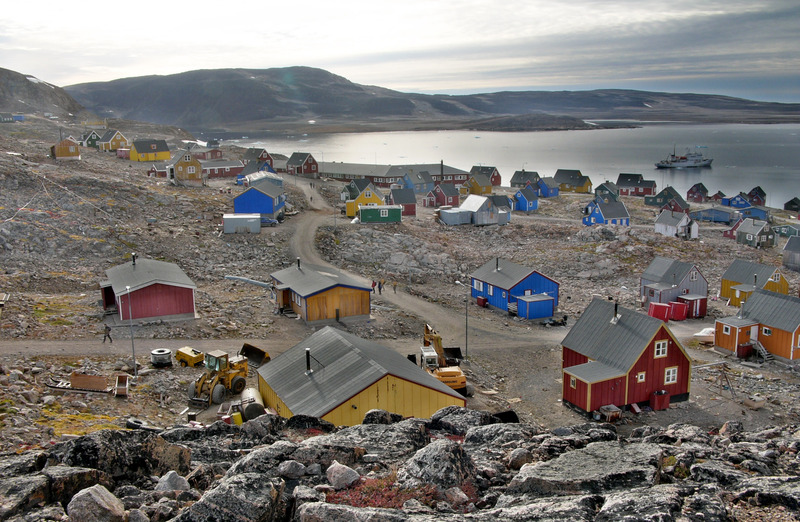 Ittoqqortoormiit is a hotspot for earth scientists who say that glaciers appear to be sliding toward the sea at faster rates, a result of atmospheric warming.